Check out VGADVI Broadcaster, our portable capture, recording, and streaming appliance that supports HDMI, DVI, VGA, S-Video, or composite video sources (with audio) in resolutions up to Full HD at 30 fps. The Lecture Recorder x2 captures, combines and records Full HD and SD video and audio from multiple sources such as document cameras, lecture cameras, tablets or any device with a VGA, DVI or HDMI™ output. Lecture Recorder x2 has 1 HD input, 1 SD input, 16 GB storage and 1 channel recording. Lecture Recorder x2 is an integrated hardware platform for recording and/or streaming presentations, events, lectures, marketing and training videos. Lecture Recorder x2 captures an HD video source such as a computer with slides, and a camera focused on the presenter and a microphone. Lecture Recorder x2 then streams the multimedia content to standard Internet browsers and media players; the streaming content can also be recorded to internal storage and network storage. Lecture Recorder x2 is easy to setup and use, works straight out of the box and does not require the use of a computer or any additional equipment. Simply power it on, plug in your sources and press the on-device button to start recording. A straightforward web interface is available for custom configuration. The Lecture Recorder x2 captures, combines and records Full HD and SD video and audio from multiple sources such as document cameras, lecture cameras, tablets or any device with a VGA, DVI or HDMI output. Choose to display the video from one or both video sources, display the video side-by-side or picture-in-picture. Lecture Recorder automatically scales inputs to match your configured layout settings. Add your academic institution color as a background, your institution logo, and add meta data such as the date, time, and faculty name. Lecture Recorder x2 has a DVI-I video output, a 3.5 mm stereo audio output, an RJ-45 PoE port, and a USB 2.0 port. The video and audio pass thru ports provide a practical way to simultaneously display the lecture to a large lecture hall while it is recorded by simply connecting a speaker to the audio output port and connecting an HDMI, DVI or VGA projector or monitor to the DVI output port. Lecture Recorder x2 captures two video sources from room cameras, document cameras, smart boards, iPads, or any other source with HDMI, DVI, VGA, S-Video, and composite output. 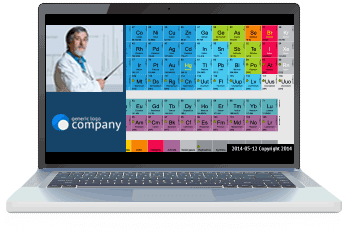 Epiphan Lecture Recorder x2 integrates easily with content management systems (CMS) and learning management systems (LMS) such as Opencast, Blackboard, Kaltura, Canvas, Echo 360, Mediasite, Moodle, and more. Media players, smart TVs, and set-top boxes can play live streams and saved recordings from the Lecture Recorder x2 via UPnP or SAP. Streaming via UPnP and/or SAP is perfect for situations when the space in a lecture theatre is limited. The lecture can be streamed to other classroom locations on campus to handle student overflow. Lecture Recorder x2 supports the most widely used video codecs to ensure maximum compatibility with commercial viewing software media players such as VLC and Adobe Media Player. Lecture Recorder x2 supports the most widely used audio codecs to ensure maximum compatibility with commercial viewing and post production software. Lecture Recorder x2 can simultaneously stream and record your content. Stores the video files to an internal drive with 16 GB of storage. Supports .AVI and .MOV formats (common and easy to use formats). Stores the video files to an internal solid state memory, with 16 GB of storage, in AVI, MPEG-TS or MOV format (common and easy to use formats). Manage the size of your recorded video files by configuring the Lecture Recorder x2 to start a new file based on a time or file-size limit. When the limit is reached, the current recorded file is closed and available for download while a new file is opened for continued recording – all without missing a frame. You can transfer the recorded files to an external USB storage device or local network storage via FTP, RSYNC, or CIFS to ensure you don’t run out of disk space on your device and facilitate 24/7 recording. Lecture Recorder x2 supports a wide range of streaming formats and protocols enabling it to stream video to media players, Content Delivery Networks and multicast networks using industry standard streaming formats including FLV, ASF, MJPEG and via TCP/UDP using RTSP. When you need to stream to a large local audience (within a LAN) without the use of a CDN or streaming server, see our professional streaming and recording systems. Supports 1080p HD video capture at 30 fps and resolutions up to 1920×1200. The Lecture Recorder x2 analyzes your source stream and automatically uses the best possible frame size, bitrate, and aspect ratio for the output stream. Your Lecture Recorder x2 is configured and ready to record and stream your lecture as soon as it has power an internet connection and an input signal. Simply connect your camera, presentation content (on a laptop, iPad, etc.) and a microphone. Lecture Recorder x2 encodes video and audio as it’s captured and makes it stream-ready. The rugged yet lightweight and portable design makes it an ideal device for travel. Its slim profile makes it easy to slip into a laptop bag and can be inconspicuously setup on the podium within reach of the lecturer. The Lecture Recorder x2 integrates video capturing, scaling, encoding, recording, and streaming, into one simple device. Roughly the size of a paperback novel, measuring 7.95″×4.13″×1.38″, (202×105×35 mm), weighing 1.4 lbs., (635 g). A web-based control interface provides local or remote configuration and operation of the recorder. Once configured, recording may be stopped and started using a mouse or our Big Red Button. Connect your laptop directly to the recorder to enable local operation or place the recorder on a network to manage your operation from any web browser or tablet using a custom interface designed for touch screen devices. Perform basic operations like starting and stopping recordings, checking video signals, audio levels and disk space from the mobile interface. Our Big Red Button provides simple start/stop control for recording and visual confirmation whether recording is in progress.